As the clocks have gone back and the evening’s are drawing in winter warmer dishes are perfect. 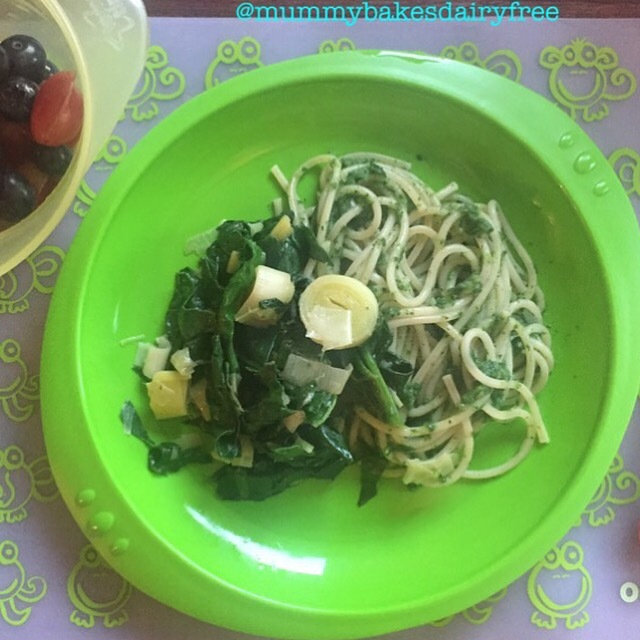 At first glance this green pasta sauce has a summery feel to it, but it’s packed with garlic and spinach making it a great immune booster. Perfect for cold season! It’s also really fast and fresh making it a great stand by meal. As usual I made extra to freeze for quick lunches. You can defrost the sauce overnight in the fridge or pop it into the microwave. I still use the weaning pots to freeze sauce, as they’re great for dividing up portions. 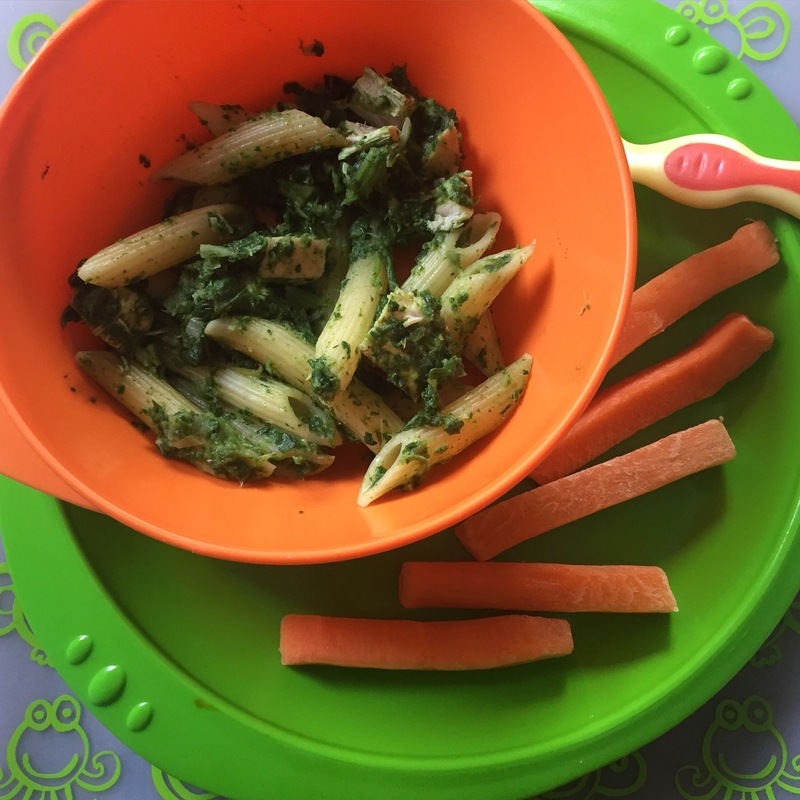 One pot with a handful of pasta is a great lunch for little one. This is a vegan recipe, however it would taste delicious with some crispy bacon or grilled chicken tossed through. It’s also perfect way to hide some veggies or an alternative to a tomato based pasta sauce. 200g pasta. I use dried spaghetti as most are egg free. You could also use gluten free spaghetti. 1. In a large pan, heat the oil over a medium heat. Add the garlic and leek, and cook until soft but not brown. Meanwhile, cook the pasta in a separate pan. 2. Next, tip the spinach in a cook until the spinach has wilted. Season with pepper. 3. Remove half of the spinach mix from the pan and keep for later. Add a couple of tablespoons of the pasta water to the remainder of the spinach mix and blitz with a stick blender until smoothish. 4. Drain the pasta and combine with the smooth spinach sauce. Serve the pasta with some of the reserved spinach and leek mixture. 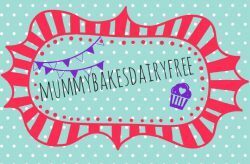 Dairy, egg, nut and soya free. Gluten free as well depending on the pasta you use. Vegan. This sauce is a miracle. My daughter is the fussiest eater ever. When I tried the sauce I thought she’d never eat it. She’s gobbled it up!! Finally I’ve managed to get some green veg into her!! Ahh I’m so glad that she likes it! It’s my go to sauce if my little one is under the weather as I know it’s packed with vitamins.